Kayaking, Hiking, Boating & Shipwreck Map » ORDER TODAY! 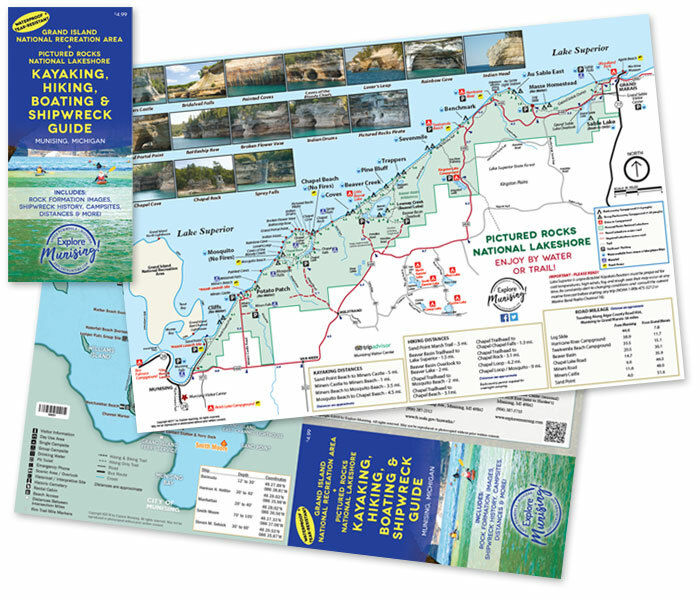 The perfect guide for those exploring the Pictured Rocks National Lakeshore and Grand Island National Recreational Area. A pictorial tour of the rock formations along the lakeshore, as well as shoreline mileage is perfect for kayakers and boaters. This waterproof map fold easily and is the perfect size for taking on your water or trail adventure. Grand Island offers a trail system for hiking and biking. 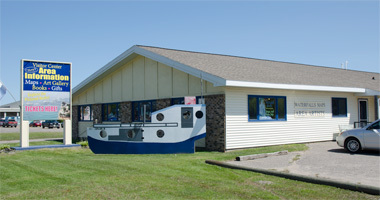 Easy-to-follow trails with distances are clearly marked featuring Grand Island, as well as highlights of the shipwreck locations and facts. Whether you are hiking, boating, kayaking or just want a pictorial reference for the rock formations, this map is a must! Note: Map will be sent out U.S. mail next business day.